A few weeks ago, RealHipHopHead put together a comprehensive set of 6 mixtapes featuring nothing but Nas features and rare songs. Now, they’ve done the same for Blu. Here’s a 4-mixtape set filled with Blu features. You can download the 4-mixtape set, see the tracklist and read what RealHipHopHead had to say about the compilation below. 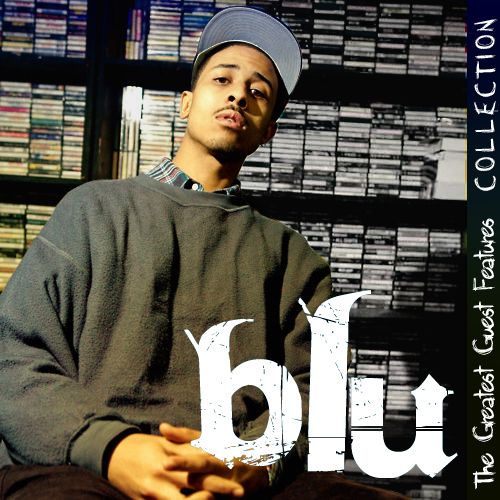 “Blu has established himself as one of Hip-Hop’s most promising young emcees. With six full-length albums, and countless other projects and mixtapes, Blu has been releasing quality music non-stop since he hit the scene in 2006 — whether on his own projects, or someone else’s. Every guest verse from Blu is a quality verse, often outstanding, and his catalog of features is far more vast than most Blu fans imagine. There are some true GEMS here, and some of my favorite tracks from Mr. Barnes. I’ve gathered all of his best features into a four-disc collection.